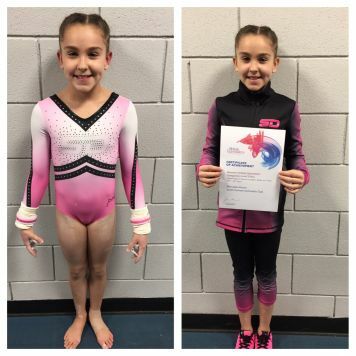 Mercedes Moore competed at the National Compulsory Level 2 this weekend in Stoke and after battling an ankle injury for numerous weeks Mercedes had a fantastic competition. 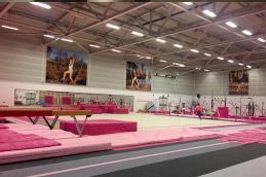 She started off on bars where she had a fabulous clean routine, hitting all her handstands and precise turns, she then moved over to beam where she only had one mistake but managed to carry on her routine cleanly. Mercedes then headed over to floor where she showcased a beautiful strong routine, hitting all of her tumbles and leaps before moving over to range where she smashed her exercise coming out with a tremendous score! She rounded off her competition with a powerful yurchenko vault and finished in an excellent 13th place out of a possible 35! We are looking forward to getting Mercedes back in the gym to work on her new skills ready for the next competition season!